UFC fights are very popular to bet on. The build up for each fight and the edge that sharp bettors can find make UFC cards some of the most popular …. The 2018 Belmont Stakes will have a Triple Crown on the line. Justify got the job done at Pimlico Racecourse, winning the 2018 Preakness, and setting up a very intriguing …. Justify got the job done, winning the Preakness Stakes a few weeks back, to ensure that there will be a Triple Crown on the line at this years Belmont Stakes. …. The 2018 Belmont Stakes will have Triple Crown potential. Justify was able to follow up his Kentucky Derby win with another big win at the Preakness on a similarly sloppy …. The World Cup is only two weeks away and the betting anticipation is building. I’ve been looking at the betting lines for the World Cup and am happy with the …. 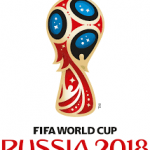 The attention of the world will directed towards Russia from June 14th to July 15th as the best soccer nations in the world battle it out for the right to …. The 2018 Belmont Stakes will have a potential Triple Crown winner in the field. Justify followed up his Derby win with a solid win at the Preakness so he comes …. 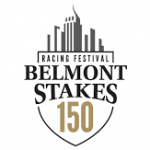 There will be a Triple Crown on the line at the 2018 Belmont Stakes after Justify was able to follow up his Kentucky Derby win with a win in the …. 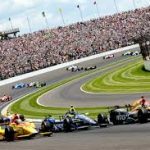 The Indy 500 takes place this Sunday afternoon from Indianapolis Motor Speedway. The event is well known as the “Greatest Spectacle in Racing” and is widely considered the most popular …. The World Cup gets underway on June 14th and then we are in for a month of top quality soccer with the entire world eagerly watching the tournament. The World ….